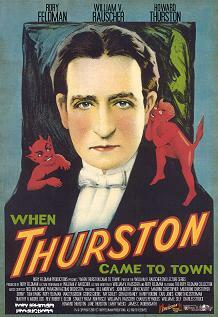 The brand new DVD, "When Thurston Came To Town", which will be released shortly! 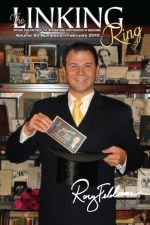 The February 2010 issue of the International Brotherhood of Magicians magazine "The Linking Ring", which features Rory Feldman as the cover story. March 2010 COMING SOON!!! COMING SOON!!! April 2010 This month I spent time with the family of Howard Thurston's long time manager Jack Jones. 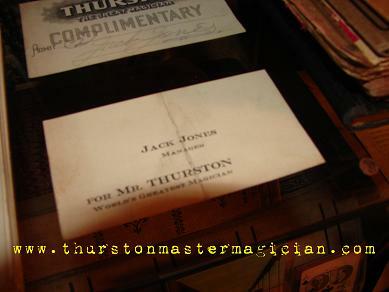 Jack Jones was not only Thurston's manager but worked on the Thurston Show as well (which is where Jack Jones met his wife -- she was one of Thurston's assistants). Cathy and Betty were such great hosts and I had the most incredible time with them. I learned a lot about Jack Jones and heard stories Jack shared with Cathy and Betty. I was honored to be chosen to acquire the amazing Jack Jones Collection. Stay tuned for a feature article on Jack Jones! CLICK HERE to see some of the truly amazing items in the collection! 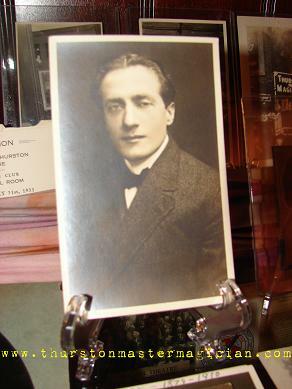 May 2010 This month was the 4th Jay Marshall Auction in Chicago. CLICK HERE to take a look at some of the goodies we were able to acquire from this auction! COMING SOON!!! 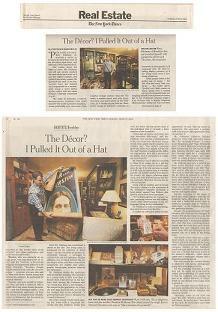 June 2010 In the Sunday, June 27, 2010 edition of The New York Times Real Estate section they did a feature article on me and my Thurston collection titled "The Decor? I Pulled It Out of a Hat". It was featured on the front page of the Real Estate section. The article also appeared online with the title "An Apartment With a Magical Cast." To view the article online please CLICK HERE. August 2010 COMING SOON!!! COMING SOON!!! October 2010 COMING SOON!!! COMING SOON!!! November 2010 COMING SOON!!! COMING SOON!!! December 2010 COMING SOON!!! COMING SOON!! !